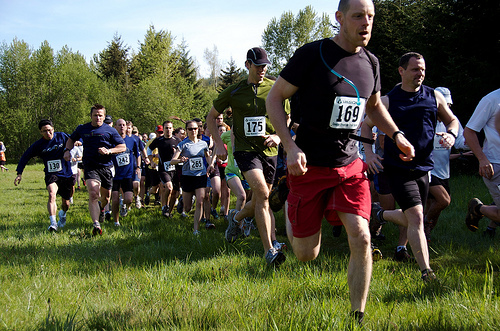 Hundreds of toned and stretched calves will line up at the start line on May 11 to kick off the 11th annual Cougar Mountain Trail Run Series! 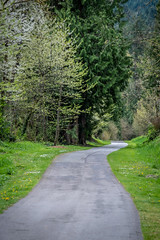 Runners will blaze through many of Cougar Mountain’s 36 miles of trails as they pace to finish either the five (short) or 10 mile (long) races. We hope they save a few breaths for the following races of the series as the mileage will continue to climb until it tops out at 13 and 25 miles respectively. New this year is the addition of 5k runs to the race lineups and it’s likely to be very popular among runners that have wanted to get a taste of the series, but aren’t quite ready for the big miles yet. Keep working on those fast twitch muscles! There’s still time to register, however, so head over to the race page and get all the details on the mileage options, including course maps. Also, be sure to thank the folks producing this great event, Northwest Trail Runs and Seattle Running Club (SRC), as a portion of the proceeds benefits King County Parks, with more than $111,000 raised during the past decade – round of applause! We also want to thank our committed volunteers for their work in keeping these trails in top shape, so we can look forward to events like this year-after-year. Previous Post Timber Outdoor Music Festival adds seven more artists to the stellar lineup!